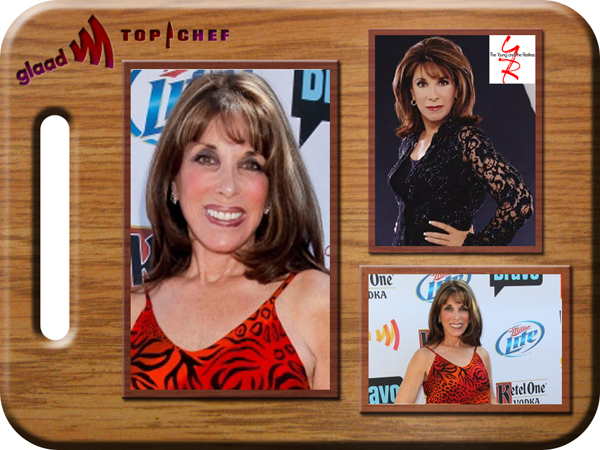 The Young and the Restless star, Kate Linder, has made quite the accomplishment being with the show for 30 years now! Thankfully she left the drama on set long enough to attend the GLAAD Hancock Park: Top Chef Invasion event this year, where we got a chance to speak with the soap veteran about GLAAD, food, and fashion. "It's great," she said of the event GLAAD put together to help raise funds for its mission to advance and increase awareness of the LGBT community. "GLAAD has, you know, a real presence in the community... and I'm here to make sure it stays that way." The day wasn't all serious though. There was plenty of good food to be enjoyed, and diets to break. "I'm always having to watch what I eat, and so I try not to eat carbs," she said. "On a day like this it's hard to do." Linder kept her style laid back for the event, wearing a "vintage" animal print dress from her closet. "Everything old is new again," she said. Well we'd have to agree! Fran Drescher stands out in a crowd. Whether it's her over-the-top personality, bold fashion choices or, yes, that signature laugh, she is hardly one to fade into the background. The Young and the Restless star, Kate Linder, made quite the appearance at the GLAAD event this year!